Now for a story most of us can probably relate to. You buy something online, and then you change your mind. So what to do - keep it, regift, send it back? Well, Americans had interesting things to say about their return habits in a new NPR/Marist Poll, so interesting that some of the responses surprised our retail reporter Alina Selyukh. ALINA SELYUKH, BYLINE: When you follow retail, you hear a lot about returns - that online shopping produces a ton of them. LARISA SUMMERS: It was $385 billion worth in one year last year. SUMMERS: Billion dollars, with a B, returned inventory. SELYUKH: Larisa Summers works for a company called up Optoro which is built around returns, helping retailers repurpose or resell the stuff people send back. SUMMERS: In some categories, 20 to 30 percent of goods get returned. SELYUKH: I went to Summers for a professional reality check because I'm trying to make sense of some fascinating results from the new NPR/Marist poll. 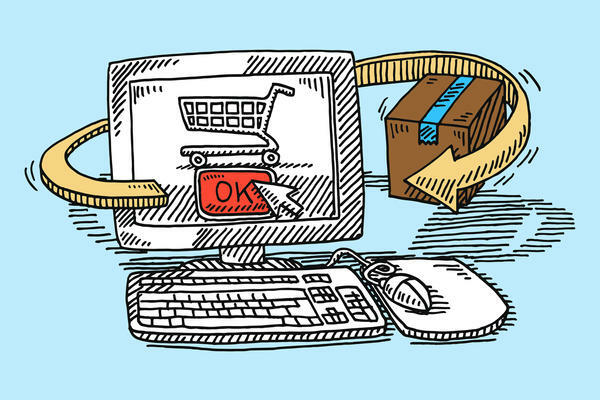 Ninety-one percent of American online shoppers told us they rarely or never return things they buy online. And my immediate thought was, where are these people who never return things? PAT NOVAK: My name is Pat Novak, and I live north of Grand Rapids, Mich.
SELYUKH: Novak rarely returns things for this straightforward reason. NOVAK: I don't enjoy shopping. It's not my favorite thing to do. SELYUKH: Not her favorite thing to do. Novak likes finding exactly the right thing before buying it so she doesn't have to shop again. Katie Burns from San Francisco has another reason why people don't return things. KATIE BURNS: I do have a basket in my apartment of things that I fully intend to return that have been there for more than a year, probably, that I have not gotten around to. SELYUKH: And now she's missed the return window for most of them. In our survey, a majority of online shoppers say they have indeed kept purchases they'd meant to return mainly to avoid the hassle. Now, another number in the polls surprised me the most. It has to do with how I personally shop, which is buy bunch of sweaters in different sizes, return what doesn't fit. 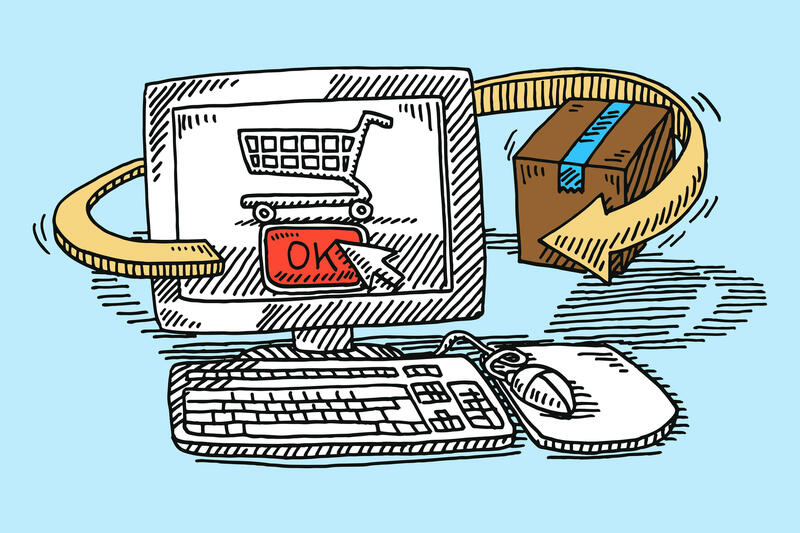 Almost everyone - 94 percent of online shoppers - told us they rarely or never make a purchase expecting to return part of it. Am I really in such a tiny minority? STACEY STEINER: That surprises me. SELYUKH: Hey, there are two of us, me and Stacey Steiner from Jacksonville, Fla.
STEINER: I'll go every once in a while, save up money, and then I'll just do a huge batch order. SELYUKH: Recently she wanted new dresses for her birthday. STEINER: So I think I bought, like, 13 dresses or something. STEINER: And I was able to try them on. And I picked three that I kept. SELYUKH: And guess who else shops like Steiner and I - director of the Marist Poll, Barbara Carvalho. BARBARA CARVALHO: I agree. The expectation was that we were going to see a very large proportion of people that return things. SELYUKH: But remember; we had 91 percent say they hardly ever returned things. My theory - asking about the frequency of returns was like calling people and saying, do you floss every day? But Carvalho says the poll accounts for this by suggesting a range of answers instead of a yes or no. And more importantly, I lost sight of the other side, the 9 percent of online shoppers who admit to making returns often or very often. CARVALHO: It actually translates into almost 16 million adults in the U.S.
SELYUKH: A small percentage of shoppers giving retailers big headaches with costly returns. But sometimes the retailers have themselves to blame. Remember Novak from Michigan who doesn't like shopping? Last year, her husband ordered a small fuel tank for a camp stove but instead received a 5-foot-tall cooler. NOVAK: If I could return it, I would return the stupid cooler. They won't take it back. SELYUKH: She says the company only allows returns for warranty or defects, not wrong shipments. So now that's another reason why Novak does not return things. Alina Selyukh, NPR News. Transcript provided by NPR, Copyright NPR.